Riptide GP2 Stunt Guide - now available and for FREE! Hey there, Riptide GP2 fans! 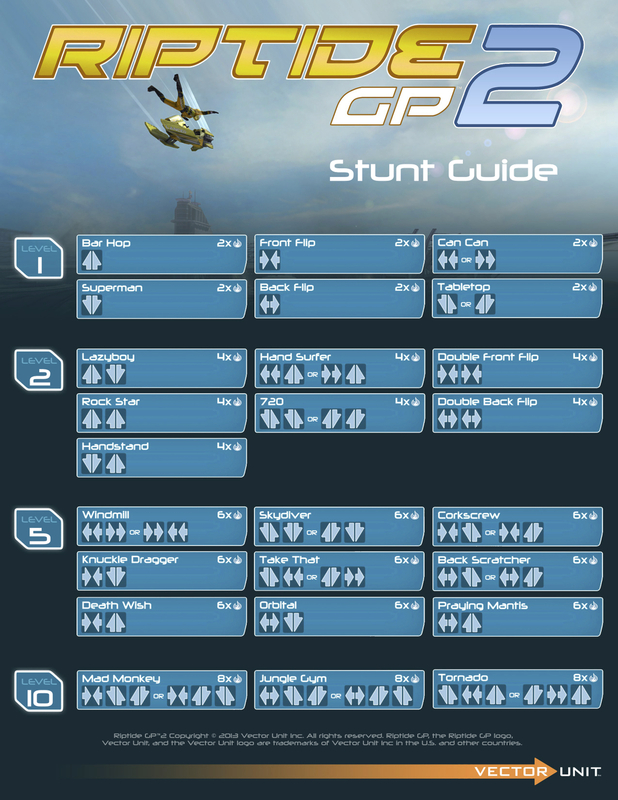 We thought you might enjoy this free downloadable Stunt Guide to help you pull off those amazing stunt sequences. And ... if you feel like sharing (or gloating) with some stunt videos of your own, we'd love to see them! The Stunt Guide is letter-sized but you can adjust your printer settings if you prefer a smaller printout. You can download the PDF version here, and the JPG version here.